The 2018 Adelaide Festival kicked off in style in Elder Park with two signature performances as varied as one can imagine. And local Adelaide companies Novatech Creative Event Technology and Nexstage Staging & Rigging Technologies were there to support and set the scene on the banks of the River Torrens. 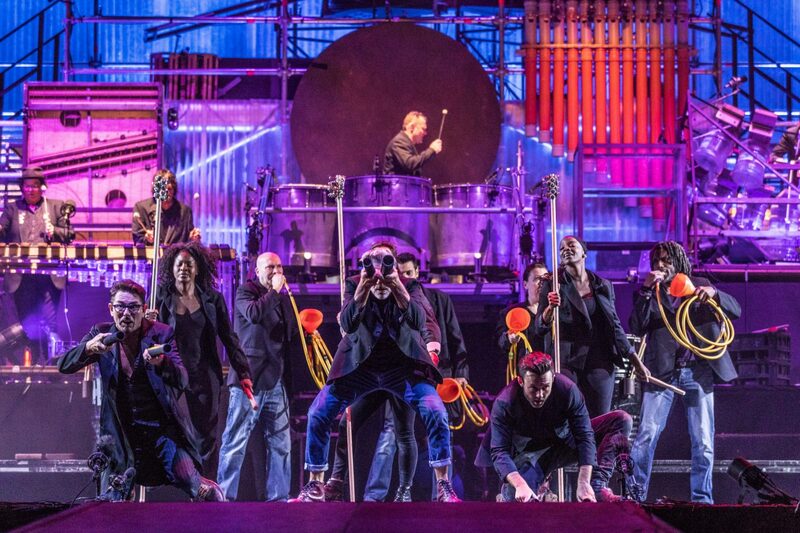 Grace Jones performed for the first time in Adelaide in 36 years on the Wednesday evening followed by the Stomp-created Lost & Found Orchestra only 3 days later. Performances of this calibre, nature and scale required a unique set of infrastructure to enable a smooth transition between shows as well as the ability to accommodate the significant production required. Nexstage were proud to debut their latest stage offering, the mighty Phoenix18, which at 18m is the largest steel roof offering in South Australia. 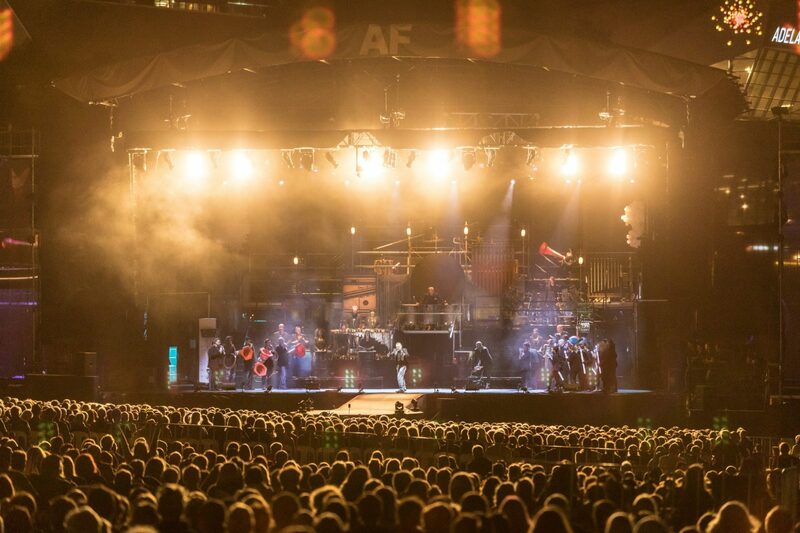 The Phoenix 18 took centre stage in Elder Park with custom scaffolding towers framed in shadecloth allowed all lighting, projection and audio to come from the one structure. Once built, the team from Novatech overlayed the significant lighting and vision production required for both events which needed minimal changeover. From Grace Jones unique sound thanks to her legendary voice, costumes and band, the production had to them accommodate over 200 performers and their unique range of “instruments”. Both events benefitted from a specially designed vision system that utilised Novatech’s latest in laser powered projection from Barco to project onto shadecloth structures either side of stage. This allowed live to screen images (IMAG) to be shown throughout the performances but also for live performers to be seen “through” the screens when the projectors went to black. This theatrical trick worked a treat and created multiple levels of visual and audio impact as the audience was slowly introduced to this amazing effect. A fully designed lighting system was installed with fixtures from Clay Paky, Martin, GLP and Pro Light lighting the stage in unique looks throughout the night. A fleet of Martin Mac Vipers and GLP wash lights then lit the surrounding riverbank precinct with a swathe of colour and patterns. This transformational takeover of the entire precinct enveloped the audience and created the fitting atmosphere for such an important celebration of the arts. Novatech were proud to continue their rich arts history with the Adelaide Festival and were thrilled to be able to deliver these events not only with such a new & impressive roof structure but also an icon of entertainment history and a unique ensemble of performers in Lost & Found Orchestra. 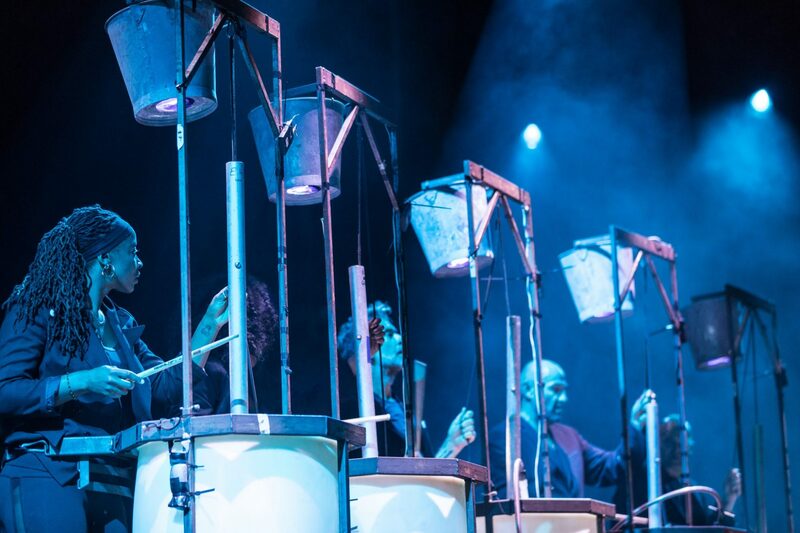 Novatech look forward to the 2019 Adelaide Festival and to once again bring artistic performances to the heart of South Australia.